Exponential smoothing is a sophisticated forecasting method that works based on previous forecast plus a percentage of the forecast error. A key issue of this technique is the proper choice of exponential smoothing constant. In order to minimize forecasting errors, choosing an appropriate value of smoothing constant is very crucial. In this study, a framework is developed for the selection of optimal value of smoothing constant that minimizes a measure of forecast errors like mean square error (MSE) and mean absolute deviation (MAD). Both “trial & error” and Excel based non-linear optimizer (“Excel Solver”) are used for this purpose. To validate the proposed model, necessary demand data of Ruchi Jhal Muri from years 2010-2016 from Square Food & Beverage Ltd. in Mohakhali, Dhaka were collected. The optimum values of smoothing constant under trial & error method are 0.31 and 0.14 for minimum MAD and MSE respectively whereas for excel solver, values are 0.314 and 0.143 with respect to minimum MAD and MSE. Although both methods provide approximately the same results but excel solver is much easier & requires less time for deriving optimum solution. This study will provide an outline for the forecast planners as well as manufacturers to improve the accuracy of exponential forecasting through using Excel Solver for determining the optimum value of smoothing constant. Gass, S. I., & Harris, C. M. (Eds.). (2001). Encyclopedia of operations research and management science: Centennial edition. Springer Science & Business Media. Gardner Jr, E. S., & Koehler, A. B. (2005). Comments on a patented bootstrapping method for forecasting intermittent demand. International journal of forecasting, 21(3), 617-618. Karmaker, C. L., Halder, P. K., & Sarker, E. (2017). A Study of Time Series Model for Predicting Jute Yarn Demand: Case Study. Journal of Industrial Engineering, 2017.
level demand a case study of retail chain company. Journal of Science and Technology, 1 (2), l l3- l19. Jalil, N. A. A., Ahmad, M. H., & Mohamed, N. (2013). Electricity load demand forecasting using exponential smoothing methods. World Applied Sciences Journal, 22(11), 1540-1543. Stevenson, W. J., & Hojati, M. (2007). Operations management (Vol. 8). Boston: McGraw-Hill/Irwin. Simonoff, J. S. (2012). Smoothing methods in statistics. Springer Science & Business Media. Fomby, T. B. (2008). Exponential smoothing models. Mannual SAS/ETS Software: Time Series Forecasting System. Version, 6, 225-235. Xie, M., Hong, G. Y., & Wohlin, C. (1997). A study of exponential smoothing technique in software reliability growth prediction. Quality and reliability engineering international, 13(6), 347-353. Paul, S. K. (2011). Determination of exponential smoothing constant to minimize mean square error and mean absolute deviation. 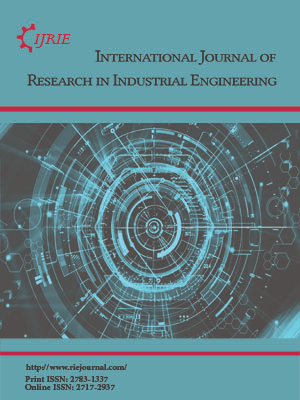 Global journal of research in engineering, 11(3). Cho, V. (2003). A comparison of three different approaches to tourist arrival forecasting. Tourism management, 24(3), 323-330. Dielman, T. E. (2006). Choosing Smoothing Parameters For Exponential Smoothing: Minimizing Sums Of Squared Versus Sums Of Absolute Errors. Journal of Modern Applied Statistical Methods, 5(1), 11. Berry, W. L., & Bliemel, F. W. (1974). Selecting exponential smoothing constants: an application of pattern search. International Journal of Production Research, 12(4), 483-499. Ravinder, H. V. (2013). Determining The Optimal Values Of Exponential Smoothing Constants-Does Solver Really Work?. American Journal of Business Education (Online), 6(3), 347.